About This Is Us' Big Twist: Did the Premiere Have You In Tears? Sterling K. Brown and Milo Ventimiglia Tease "This Is Us"
Chances are if you're reading this right now it means you just finished watching the highly anticipated series premiere of This Is Us and, to be honest, we're not sure how you can actually see through all your tears. But there's something HUGE we need to discuss: The MASSIVE twist at the end of the episode. Mandy Moore and Milo Ventimiglia's Rebecca and Jack aren't just a pair of adorable hipsters sporting throwback style. They're actually living in the '70s. And the twins played by Justin Hartley and Chrissy Metz, a.k.a. Kevin and Kate? 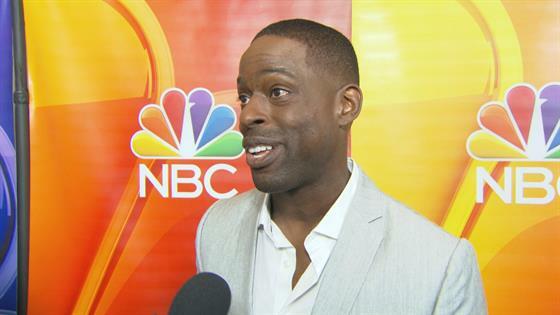 They're actually 2/3 of a trio of siblings born on the same day—and Sterling K. Brown's Randall is their brother. Oh, one other very important thing: Rebecca and Jack are their parents! After your brain actually processes this information overload—and the thrill of the '70s reveal not happening until the end of the episode—you'll probably have questions. Namely: How does this show work from week to week? It's cool that everyone is connected in this amazing way, but what will the next episode look like?